Spin Palace Casino Review 2019 - Bonus of €/$1000 FREE! Visit Spin Palace Get Your $1000 Bonus! Fully licensed and regulated. Spin Palace Casino holds several gambling licenses Spin Palace Casino promotes responsible gambling, and the software is licensed and regulated by the the Malta Gaming Authority. Safe & secure banking methods ? All legitimate, real-money online casinos like Spin Palace Casino have strict anti-fraud screens, and that may create a short withdrawal delay. Spin Palace Casino are offering a great welcome bonus. They'll match your first three deposits at 100% allowing you to earn up to $1000 in bonus cash. ? The bonus applies to your first deposit only. Please read the terms and conditions carefully and make sure to take full advantage of the bonus offer. As more and more easy-to-access online casinos keep popping up, all clamouring for your hard-earned money but promising you the world, making a wise choice is imperative. 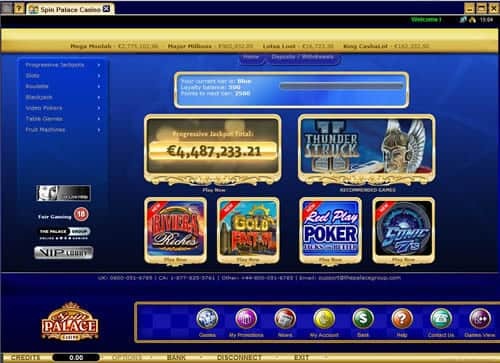 Spin Palace, established in 2001, licensed in Malta, eCogra certified, and equipped with trusted Microgaming software, is a legitimate, reputable, fairly run international online casino. If it weren't, it would not still be in business, maintaining its worldwide popularity and receiving many favorable reviews after all these years. Spin Palace is a fun place to play, open 24-7 so you can find virtually any game you want any time. With over 400 games to choose from, and over 250 slot varieties, your problem here is deciding what to play first – or indeed where, as Spin Palace offers a great mobile gaming experience on Android and iOS devices, too. Extra incentives in the form of generous welcome bonuses available on both the regular online casino and the Spin Palace mobile casino and a tiered loyalty program will encourage you to come back often. This review will tell you what makes Spin Palace a great online casino, and we’ll review the mobile casino offer from Spin Palace as well. But, we will also show you a few things that are not so great. What Does Spin Palace Offer? You might think from the name that Spin Palace online casino is strictly for slots, but that is far from true. In addition to offering virtually every type of slot game under the sun, including progressive slots, this Internet casino offers blackjack, video poker, roulette, craps, baccarat, and keno. You can even buy Internet scratch cards, on which you can win up to 50X your wager. These look and are played like lottery tickets, except that you don't even have to bother scratching them. The machine does it for you! Downloading the free casino software, opening an account, and depositing funds should take just a few minutes. So it is a quick and easy process, but not in the U.S. As of 2019, U.S. players have no access to Spin Palace or Spin Palace’s mobile casino. But for the rest of you, there are many fast and secure banking options to choose from (see accompanying list). Several of the options, however, are only for deposit, not for withdrawal. Also, mixed reviews have been reported by customers regarding the speed of withdrawals. 24 hour customer support is available in a choice of many languages via live chat, phone, or email. Spin Palace also offers quick, on-the-go fun at their mobile casino. Available on both iOS and Android devices, Spin Palace mobile casino has been met with great reviews from players. Now, you aren’t chained to your PC and can access Spin Palace’s mobile casino anytime, anywhere. 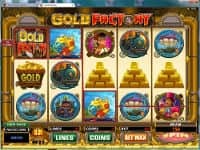 Offering the same big jackpots and great online casino games on mobile as you’re used to playing via your PC, you can create a new account via the mobile client or use your existing account to access all the best Spin Palace mobile casino games right away. One heavily promoted feature at Spin Palace online casino is their generous welcome bonus. Yes, you can get up to $1,000 in "free" bonus money via online or mobile casino play, but it's not as simple as it sounds so be sure to read the casino's detailed rules. You also have to make multiple sizeable deposits of your own money and you have to show the necessary play-a lot of play. Slot play counts 100% towards meeting the play requirement, but table game play counts much less. Table games with the lowest house edge, like video poker and classic blackjack, don't count at all. In other words, the welcome bonus is great for slots play on both mobile and online gaming, but considerably less so in other games. Spin Palace has an excellent loyalty recognition program which you will accrue points for on Spin Palace’s mobile casino and their regular online casino. From day one, Cardschat.com players are enrolled in their tiered Loyalty Club. In addition to earning loyalty points every time you play, exchangeable for free casino credits, you also periodically receive extra rewards. Depending on your level of play, these can include bonus points, free spins, special promotions, gifts, and invitations to tournaments and other special events. If you play roulette, take your pick from double zero American Roulette or the more favorable single zero European or French Roulette. Spin Palace also offers an exciting Internet variation on European Roulette called Roulette Royale. That game has a mandatory side bet toward a progressive jackpot, but if the same number shows up 5X in a row, you're an instant multimillionaire. As for slots, Spin Palace slots are probably as generous as you'll find anywhere online, with even the progressives paying up to 97%. If you can't find the slot machine you're looking for here, it probably doesn't exist, as Spin Palace has first access to Microgaming's latest releases. As a valued Spin Palace player, you will be promptly notified as new games become available, and you can be among the first to try them. Or maybe this is your lucky day to head straight for one of the linked progressive slots like Cash Splash, King Cashalot, Lotsaloot, Major Millions, Dark Knight, or Mega Moolah. Then take a shot at the steadily climbing Microgaming progressive mega jackpot, waiting to be won. Spin Palace features one of the best mobile casinos around, which can be accessed from whatever device you have in your pocket, be it Android, iPhone, iPad, Blackberry or even a Windows phone. All of the Spin Palace games are available on the mobile casino, too, though live dealer games are restricted to the computer-based version of the site. A slight disadvantage if you enjoy playing different games is that you have to download the games on to your device. However, the graphics are flawless, making you feel like you are actually in the casino, looking at the ball spinning, the reels turning, the cards getting dealt. 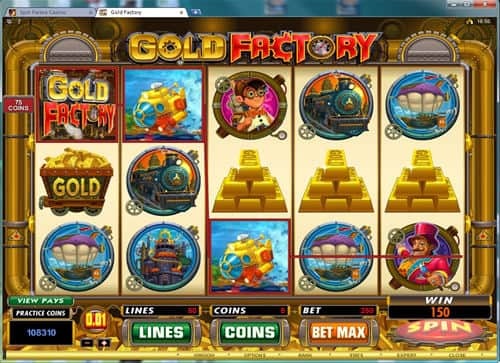 The mobile casino does not require additional sign-up if you are already a member of the casino. You can move all your favorite games, wagers and ongoing obsessions on to your mobile device and continue them whether you are in bed, on your lunch break or waiting for the bus. 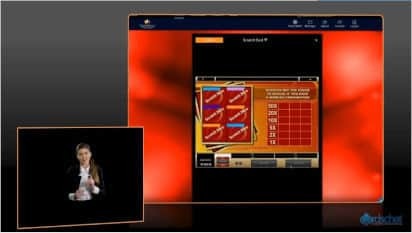 The mobile casino also supports all the payment methods that are available through the main casino, and those are quite a few. Wherever you are when you win, you can always withdraw your winnings (unless it is bonus money which has its own rules). One of the oldest online casinos around, Spin Palace has had plenty of time to get its game right and that it has definitely done. It is highly certified, making it trustworthy, and it will take good care of you. The choice in games is huge, including the unique idea of online scratch cards, and even if your curiosity is not supported by a large budget, Spin Palace’s constant bonuses will tide you over from one win to the other. While there have been mixed reviews regarding the casino’s withdrawal speeds, generally the customer care can take care of your problems, in the language you prefer. Glitches or no glitches, the amount of money the Microgaming progressive jackpots can win you are definitely worth the attempt! Join Spin Palace Casino and earn up to $1000!